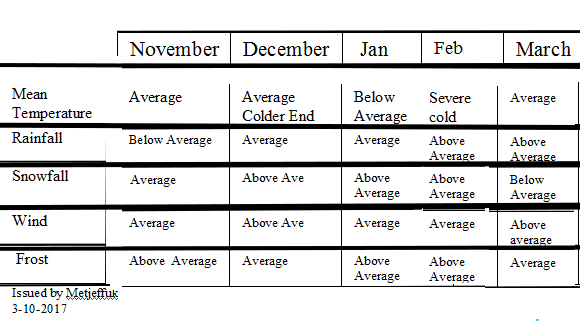 So could we be heading for coldest winter for 55years and why? SSW rapid warming (up to about 50 ­°C in just a couple of days) in the stratosphere, between 10 km and 50 km up. You probably have heard of the jet stream this helps to steer Atlantic weather systems towards the UK. there are other jet streams high up in our atmosphere in both the northern and southern hemisphere which circumnavigate the Earth from west to east. One of these, the Polar Night Jet, circles the Arctic. Sometimes the usual westerly flow can be disrupted by natural weather patterns or disturbances in the lower part of the atmosphere, such as a large area of high pressure in the northern hemisphere. This causes the Polar Jet to wobble and these wobbles, or waves, break just like waves on the beach. When they break they can be strong enough to weaken or even reverse the westerly winds and swing them to easterlies. If this happens, air in the stratosphere starts to collapse in to the polar cap and compress. As it compresses it warms, hence the stratospheric warming. 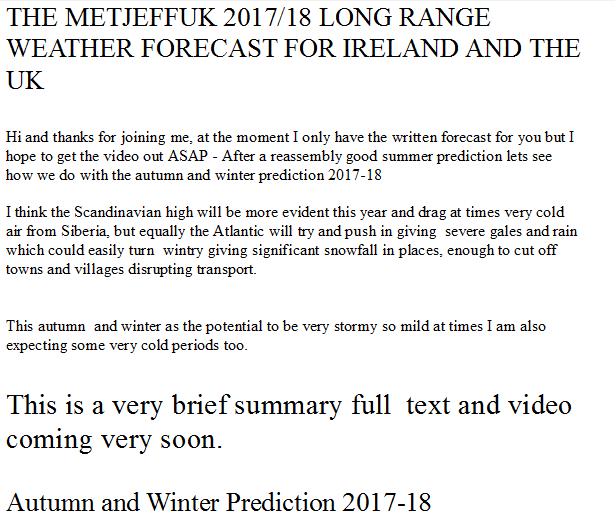 We have been study the start of a new SSW this coupled with other factors such as the QBO sea ice sea temperatures la Nina and many other factors too as lead to us believe we are heading in the to coldest winter probably since 1963 (55years ago) This may or not happen but one thing we are confidant of it will be a very cold Winter.